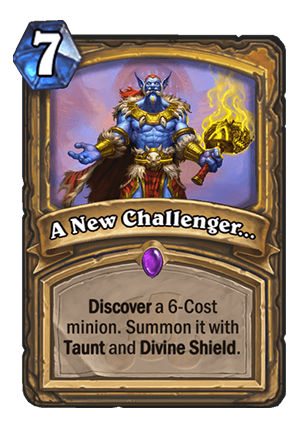 A New Challenger… is a 7 Mana Cost Epic Paladin Spell card from the Rastakhan's Rumble set! First of all, quick reminder that Discover effects can pull only Class + Neutral minions, so in this case it will be Paladin + Neutral. The current pool of Paladin + Neutral 6-drops is… okay. It’s not amazing, but there are some cool cards. You can hit some really great combos, like pulling a Damaged Stegotron (5/12 Taunt with Divine Shield), Frozen Crusher (8/8 Taunt with Divine Shield), even something like Mechanical Whelp can be great in the right scenario (not a big initial body, but Taunt forces your opponent to trigger the Deathrattle and you get a 7/7 on top of the 2/2 with DS + Taunt). 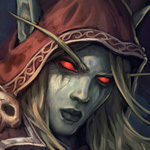 Cairne Bloodhoof is very good value, obviously, and giving it Taunt means that it becomes much faster. Bone Drake is also solid if you want more value. There are definitely some good options. 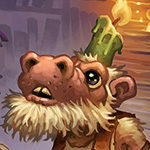 On the other hand, though… We have a bunch of very weak cards, such as Glowstone Technician (Paladin card, so will come up more often), Arcane Dynamo, Mossy Horror, Priestess of Elune, or anti-synergy cards, such as the ones which already have Taunt, Divine Shield, or both (Sunkeeper Tarim, Argent Commander and especially Sunwalker come to mind). I think that there are significantly more below average pulls than above average pulls, but given the fact that it’s Discover, you will be able to get something decent nearly every time. The card reminds me of Free From Amber. It’s not the best card around, but having an option to pull one of the three minions depending on the situation is a pretty strong effect, plus the fact that it summons this minion means that it skips the Battlecry – it can be a good thing in some cases (like Damaged Stegotron, which doesn’t deal damage to himself). Overall, it’s an okay defensive tool, but it just seems to have a slightly too weak pool of cards to consistently deliver. Control Paladin might like it, but it would like it even more if some more strong 6-drops, especially Paladin 6-drops, get printed. If that’s the case, I could see it in this kind of archetype, or maybe even some Midrange build. Especially since it has nice synergy with Shirvallah, the Tiger – reducing its mana cost by 7 could go a long way, especially if you could play those two together on a single turn, it’s a really solid tempo play. As of now. This card looks better in Wild. though we still have plenty more of this set to come out and honestly as long as you get a decent body its fine. I would say that a 5/5 body is the minimum you should go for to make equal the cost of the card. 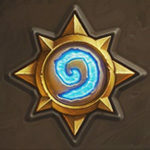 A New Challenger is Paladin’s Release from Amber. 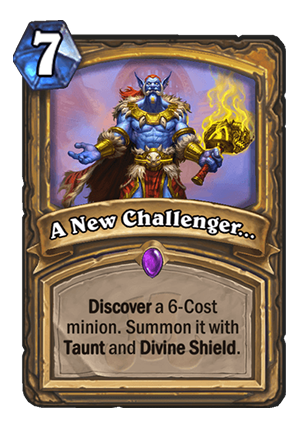 However, the average six cost minion seems to be about a 4/5 or a 5/5 on average, and adding Divine Shield and Taunt onto it probably won’t make them worth seven mana. Plus, a lot of them, especially Paladin’s, already come with at least one of those keywords. Granted, there are standout cards that can be discovered from it like Damaged Stegotron, Hungry Etrin, and Hogger, but that’s about it. It might see play if better stated six cost minions come around AND Paladin receives a few of them. Even then it won’t be until after the rotation happens in April. There are like 5 highrolls with stegotron, ettin, cairne, mechanical welp, frozen crusher, but there are also like 25 bad rolls, where you end up with a 7mana sunwalker or worse. 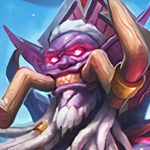 Why play a 7drop that has a high chance of being bad, when you can get your late game from steed, tarim, valanir, lynessa, lich king and tirion? It does discount the Tiger by 7mana which can be a big deal. And it’s obviously much stronger when it also summons a 7/7 tiger. Obviously intended for the new big spell theme they’re pushing for Paladins this expansion. We don’t know ANYTHING about how the deck actually functions yet, not worth judging this card at this point. I checked 6 mana Paladin and Neutral minions and there is a lot of good stuff. It’s more valuable to play this then any 7 drop taunt(?) minion on its own. The question is does Paladin need 7 drop Divine Shield Taunt? The Six Cost Slot is really strong for this kind of effect. For Class Cards only Blackguard would be a favourable outcome, but there are some really good neutrals like Cairne, Damaged Stegadon, Mechanical Whelp or Frozen Crusher. Especially since the theme for Paladin seems to be spending mana on spells. Also this seems to be a valid option for prismatic lense. running secrets and high cost minions can lead to awkward draws, but low cost minions and this seems much more practical.